Down Syndrome is said to be the most common chromosome abnormality in humans, affecting about one per 1000 babies born each year. Chromosomes are threadlike substances which carry genetic information from parents to children. When Down Syndrome occurs, a person is born with an extra copy of chromosome 21. It usually causes some level of disability and physical features. This condition affects people in every region of the world, and every economic stratum without discrimination. 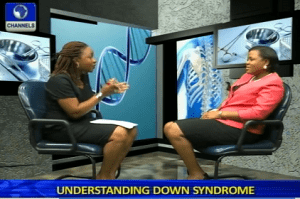 The Senior Registrar of the Department of Pediatrics and Child Health, Lagos State University Teaching Hospital, Dr. Adejumoke Akolawole, looked at Down Syndrome and causes.